President Shimon Peres met with German Foreign Minister Guido Westerwelle. Peres mentioned the EU's new guidelines banning agreements with Israeli entities operating across the Green Line, and urged this decision frozen, arguing that it pertains to the border issue, which will be discussed in the course of ongoing peace talks. 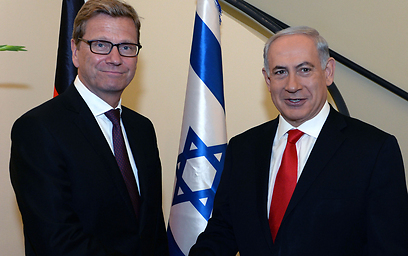 Westerwelle replied that the EU's policy on collaborations with Israel has not changed. The Israeli leftist Meretz party held Netanyahu government responsible for the European decision to boycott settlements, saying that it came as a result of the Israeli policy towards the European Union (EU). Zahava Gal-On of the Meretz Party said the government is acting recklessly by endangering Israel's participation in the grant program. "This is what a sinking ship looks like when its captains decide to establish the State of Judea (biblical term for the West Bank) while destroying the future of Israel," she told Israel Radio, "because this is destroying the scientific future of Israel, Israeli research." In a related context, Israel's deputy foreign minister, Ze’ev Elkin, said Friday that his government refuses to sign EU deal under new terms. Israel would rather forgo hundreds of millions of dollars in EU research grants than accept an anti-settlement clause Europe wants written into any new partnership deal, Elkin told Israel Radio. The new EU guidelines say any partnership agreements with Israel must state clearly they are not applicable to the West Bank, Gaza and east Jerusalem, lands Israel occupied in 1967. "We want to sign and we are ready to negotiate, but if the conditions are as they are today, which are unprecedented ... we can't sign," Elkin said. The Israeli government condemned the European decision to boycott settlements, saying that it harms the political process with Palestinians. The European Union said it would ban its member states from providing any type of financial assistance to Israeli enterprises operating in the occupied territories, underlining its concern that Israeli settlement-building harms peace prospects with the Palestinians. 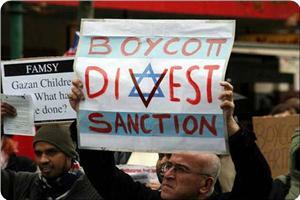 Delta Air Lines boycotts Israeli snack? American air carrier Delta Air Lines has stopped serving the Achva halva snacks on its flights from Israel. The popular snacks are manufactured by the Achdut tahini factory located in the Barkan industrial zone, beyond the Green Line. According to reports on pro-Palestinian websites, the company initiated the move after passengers complained that the product was made in "illegal" settlements. In a letter to one of the complaining customers, Delta Air Lines confirmed that it had "notified our local catering company to discontinue serving the Vanilla Halva bar in meals onboard Delta flights from Israel." The company noted that it was reviewing its onboard menu, and in the meantime was serving fruit instead of the halva snack. Pro-Palestinian activists reported the incident on various websites, claiming that "the company will stop serving snacks manufactured in an illegal Israeli settlement in the occupied West Bank on its flights from Tel Aviv." Following an inquiry by an Israeli activist, Delta said: "We regret that a letter from an individual in our customer care department incorrectly suggested that Delta removed a vanilla halva bar because of its origin." The airline noted that "like on many of our international flights, all food items on Delta flights exit Tel Aviv are sourced by our local caterer. This includes more than 1,000 local items. The item in question, a Vanilla Halva Bar, was recently removed as part of a normal catering cycle and review. "In many cases products that are removed are later re-boarded. In addition, items are periodically rotated or changed in the course of our menu cycles," the company added. It should be noted that Achdut's Achva halva is considered a very popular snack among halva lovers. The 25-gram snack contains 50% sesame paste and is sold in supermarkets across Israel. The Achdut company declined comment. At a cabinet meeting Thursday, Prime Minister Benjamin Netanyahu decided that Israel will not sign additional agreements with the European Union, such as a scientific cooperation agreement, due to the expected EU limitations on the settlements. At the end of the meeting, State officials said that the EU's decision significantly harms the process of renewing negotiations with the Palestinians. The meeting, convened by Netanyahu, was attended by Ministers Tzipi Livni , Naftali Bennett, Yair Lapid, Ya'akov Peri, Shai Piron, Yair Shamir and Deputy Foreign Minister Zeev Elkin. 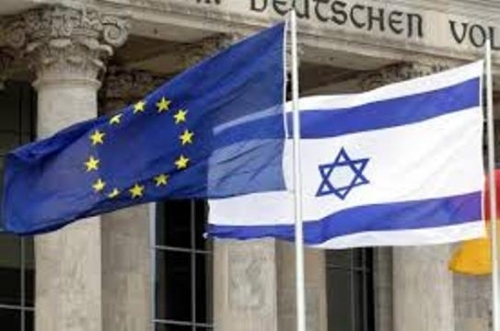 Following the meeting, State officials clarified that Israel will request further clarifications from Europe in order to better understand the meaning of the limitations of the EU on activities beyond the 1967 border lines. Three weeks ago, the EU High Commission announced its intentions to distinguish between Israeli entities working within the 1967 border lines and those operating beyond them. The decision, which is expected to take effect in 2014 until 2020, surprised the cabinet in Jerusalem as well as the Israeli foreign Ministry. 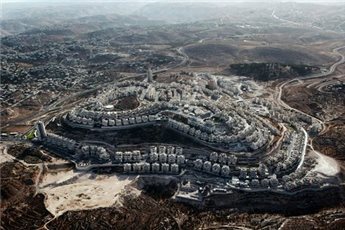 The decision to exclude settlements from European funding was revealed on the eve of the American announcement regarding the renewal of negotiations between Israel and the Palestinians. 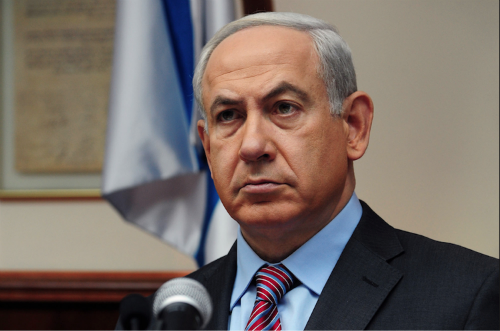 The EU limitations were preceded by numerous warnings, which were not well-received in Israel. The EU decision cast a shadow on significant agreements which were supposed to be signed by Israel in the near future. According to the cabinet meeting held Thursday, the Israeli government is not expected to sign any additional agreements with the European Union as long as there is a distinction between activities within the 1967 border lines and activities in the settlements. The Killers Cancel Israel Show; Political Concerns Source of Cancelation? The Killers have cancelled their Tel Aviv, Israel show which was rumored to have been scheduled for mid October of this year after their October 11, 2013 show at the Sandance Festival in Dubai, UAE. 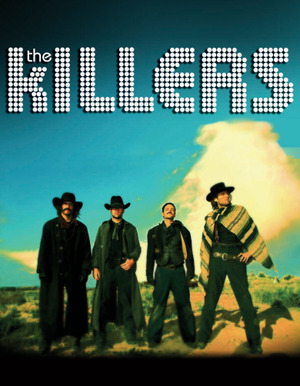 The Killers allegedly had already received half of their $2,225,000.00 USD fee to come to Israel and perform at the Exhibition Grounds in Tel Aviv, Israel. It should be noted that it is customary for any artist to receive a portion of their fee up front, before the show. Apparently The Killers have returned their fee and cancelled the rumored show. The Israeli promotor has indicated that there were not any problems on their end and that The Killers and their management cancelled the show for unknown or undisclosed reasons. It should be noted that as the show had not been officially announced nor had tickets gone on sale, there is no official or concrete reason why The Killers have elected not to perform in Israel. At the present time it appears that all other shows in the region are still scheduled to go on. The article below was translated via Google Translate. Bad news to fans of “The Killers” Israel: The band “Hkilrz” decided not to go to Israel next October and her show, intended to take place in the exhibition grounds, was canceled. Reason for cancellation is not clear. The appearance of Hkilrz was never an official statement on behalf of the Israeli producer, but between him and the group’s management was close agreement, and state the amount of money the band was supposed to get - two and a quarter million dollars. Tel Aviv Fairgrounds also were reserved for the show - which appeared in the open area Roxette, Lady Gaga, Chris Cornell and Dream Theater. Typically The Killers News (TKN) does not offer an editorial opinion on stories but I have decided to make a rare exception given the nature of this cancellation. It should be noted that the following editorial opinion is mine, and mine alone, and does not, and should not be taken or otherwise construed to, represent the opinion of any other entity that is affiliated with TKN, including, but not limited to, TKN Contributors. I believe that The Killers choice to succumb to political pressures and concerns and cancel the Israel show is an extremely misplaced and ill-advised decision in which they and their management failed to give all due consideration. In my opinion, performing in a certain city, nation or other geographical area does not constitute an endorsement of the policies in that city, nation or geographical area. Any musical, or otherwise artistic, performance in a certain environment is not an endorsement of the events in that environment, it is about the shared experience that the audience has when enjoying that musical or artistic performance. Music is, and should always be, about the ability of many different people of varied backgrounds to transcend any political, social or cultural issues and create a harmonious and shared experience irrespective of divisive ideologies. While some readers of The Killers News or fans of The Killers may express joy in their perceived victory in the cancellation of The Killers Israel show, in my opinion they have only guaranteed that The Killers will continue to avoid region for the next several years due to the political concerns that have now been laid before them. Their overreaction to The Killers Israel show has, in the process, destroyed any hope that they may have held, or continue to hold, for a Killers show elsewhere in the region in the next several years. Last February FC Barcelona announced plans for the Barcelona first team to play a match in Tel Aviv (Israel) against a combined team of Israeli and Palestinian players to help “build bridges of dialogue between the two peoples” . It was to be called the “peace match” and was scheduled to be played on July 31, 2013. As soon as it was announced, however, the match provoked the opposition of the majority of the Palestinian population and of international organizations in solidarity with Palestine. The president of the Palestine football federation Jibril Rajoub gave the proposal a cool reception, stating that it was “too soon” for an initiative of this kind and that “Israel does not even recognise Palestine as a sporting entity”. Under the banner of “peace” the club was equating the occupying power and the occupied people. Barça, in collaboration with the international war criminal and Israeli president Shimon Peres, wanted the world to believe that the conflict between Israel and Palestine was down to some misunderstanding between two equal parties which could be resolved by “dialogue” and building “bridges for peace”. But, in reality, the origin of the situation is in the policies of occupation, apartheid and colonisation which Israel has carried out in Palestine since 1948. And the way to put an end to it is by the application of International Law and respect for the fundamental human rights of the Palestinian people. 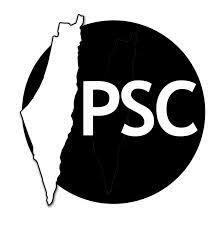 The Solidarity Network Against the Occupation of Palestine (RESCOP), made up of 38 organisations in the Spanish state including BDS Catalonia, launched a petition on Change.org asking Barça not to play in Israel . The petition, published in six languages received around 2400 signatures from all over the world. Faced with the avalanche of international criticism and the unwillingness of the Palestine National Authority to participate in the Catalan club’s initiative, FC Barcelona decided to cancel the “match for peace”. A few weeks later the club announced that, instead of the match, it would hold sports “clinics” in Palestine and Israel on the 3rd and 4th of August, at which all the players of FC Barcelona would be present and in which kids from both communities would participate . BDS Catalonia, which forms part of the international Boycott, Divestment and Sanctions (BDS) movement against Israel, wishes to make clear its opposition to the sporting “clinics” promoted by Barça in Palestine and Israel because they are inspired by the same logic as the defunct “match for peace”: namely equating occupier and occupied in the name of “peace” and normalising the occupation of Palestine. If Barça decided to organise a sports “clinic” just for girls and boys in the Occupied Palestinian Territory (OPT), the club – which is passionately supported by Palestinian youth – would be doing something praiseworthy. But to organise a sports “clinic” in Israel the day after doing one in the OPT would be to equate occupier and occupied and normalise an illegal occupation. Israel uses this kind of initiative politically to project an international image as a “normal” state which seeks “peace” while daily carrying out its everyday policies which systematically violate international law and human rights of the Palestinian people. 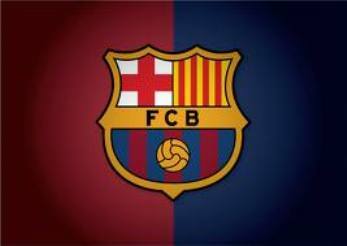 As we have said on previous occasions, the best contribution FC Barcelona could make to the cause of a just peace in Palestine would be to answer the call which Palestinian civil society made in 2005  and apply a sporting boycott against Israel, as was successfully done against the South African apartheid regime. This article was originally published by BDS Catalonia. Cabinet condemned, during its meeting in Ramallah Tuesday, chaired by Dr. Rami Hamdallah, the Prime Minister of the caretaker government, neglected Israel's decision to deny EU's officials from entering West Bank's areas, as well as the disruption of projects that the European Union wants to establish in favor of the Palestinians in areas classified as "C" and the Gaza Strip, the Cabinet considered the resolution as an additional obstacle in the face of the developmental projects and the Palestinian economy in areas classified as "C" and in the areas. In this context, Cabinet asked the international community to put an end to the Israeli obstacles that directly affect various aspects of life in Palestine, and to oblige Israel to the international law and to stop the depletion of Palestinian resources and disruption of the sustainable development. Cabinet stressed that the government is working on developing the Palestinian economy by advancing and strengthening the role of youth in the community, and reducing unemployment in collaboration with the private sector and civil society institutions by creating more opportunities in many areas, most importantly in education in order to facilitate the lives of the Palestinian citizens in the suffocating financial crisis. In addition to providing a unique investment environment based on the provision of many privileges to investors and to work on the implementation of three industrial zones in Jericho, Bethlehem and Jenin. Furthermore, Cabinet condemned occupation forces and settlers' violations against Palestinian civilians and their properties in the West Bank and the Gaza Strip, the latest of which was the delivery of many demolition notifications by occupation forces to citizens in Hebron, the random shooting at people and the injury of one in Gaza, the frequent storming of settlers into Al-Aqsa mosque and the destruction of Palestinian vehicles in Al-Sheikh Jarrah neighborhood in Jerusalem. In a related context, Cabinet renewed its demand of the international community and human rights organizations to immediately intervene and save the lives of prisoners on hunger strike especially Jordanian prisoners, and called for the international community to compel Israel to release them, as well as veteran prisoners, children and women especially the ill. Cabinet considered that the release of prisoners from Israeli prisons enhances the chances of a just peace in the region. Israeli Prime Minister Benjamin Netanyahu (R) speaks to the press ahead of his meeting with EU Foreign Policy Chief Catherine Ashton at his office in al-Quds (Jerusalem) on June 20, 2013. The European Union has voiced concern over the Israeli regime’s announcement to stop cooperation with EU missions in the occupied West Bank and Gaza. Meanwhile, a western diplomat said that due to the Israeli measures, several European humanitarian aid staff did not succeed in receiving permits to enter the Gaza Strip. 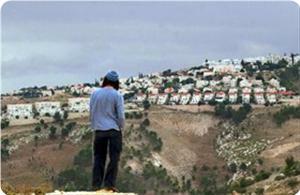 The development came after Ya’alon ordered Israeli officials to freeze “projects, canceled meetings, curtailed coordination and permits for Europe's operations” for Palestinians living in the Area C of the occupied West Bank, after the EU’s decision to ban dealings with Israeli institutions operating in the occupied territories. The EU published new guidelines in its Official Journal on July 19, banning its 28 members from funding projects in Israeli settlements in al-Quds (Jerusalem), the West Bank or Golan Heights, which the Tel Aviv regime occupied during the 1967 war. The ban sparked anger among the Israeli officials, with Israeli Prime Minister Benjamin Netanyahu and President Shimon Peres claiming the new directive would undermine attempts by US Secretary of State John Kerry to relaunch peace talks between Israel and the Palestinian Authority. On July 23, a Palestinian court ordered the release of products that customs officers had confiscated as they made their way from the Israeli Burkan settlement toward the West Bank city of Salfit, a Palestinian official informed Al-Monitor. The Palestinian government launched in June 2010 successive campaigns to combat the importation of goods coming from Israeli settlements built on Palestinian lands occupied in 1967. The campaigns began with a symbolic poster being affixed to the home of President Mahmoud Abbas, and later to homes of thousands of Palestinians, that read “This house does not contain settlement products.” As a result of these efforts, customs officers seized — on a daily basis — goods smuggled from Israeli settlements to the tune of millions of shekels per year. 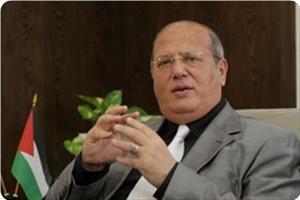 The European Union’s decision on July 17 to ban cooperation with or funding of Israeli settlements built on occupied Palestinian lands — including east Jerusalem — and prohibit the financing of any settlement related faction or institution was the culmination of years of Palestinian diplomatic efforts in EU countries, as a former official of the Palestinian Embassy in Brussels, Majed Bamiah, told Al-Monitor in an interview on July 22. But the latest European decision inflamed an internal debate among Palestinians as to whether their governmental and popular efforts had succeeded in combatting the importation of settlement goods or not. A debate that revolves around millions of shekels worth of products and involves skepticism concerning the political will needed to enforce the law banning settlement products and the subsidization of local goods. This debate also involves, most importantly, the Palestinian population’s desire to implement such measures and combat settlement activities. Under the slogan “We want the occupation to pay,” the first popular campaign to ban and combat the importation of Israeli goods was started in 2008 by the activist and director of Agricultural Relief in the Nablus province, Khalid Mansour, during Israel’s war against the Gaza Strip. The campaign targeted all Israeli products without exception, and was, at the time, met with acceptance engendered by Israel’s war against the Gaza Strip. It was followed in June 2010 by a decision taken by Salam Fayyad’s government to launch an official campaign meant to boycott and ban only settlement products, because the Paris Economic Agreement of 1994 stipulated that both sides cooperate economically. Since 2010, enforcing the law resulted in the confiscation and destruction of smuggled goods worth over 60 million shekels [$16.8 million], an official source told Al-Monitor on the condition of anonymity. Products costing an equal amount were not destroyed because of a lack of the proper equipment to do so on the Palestinian side. 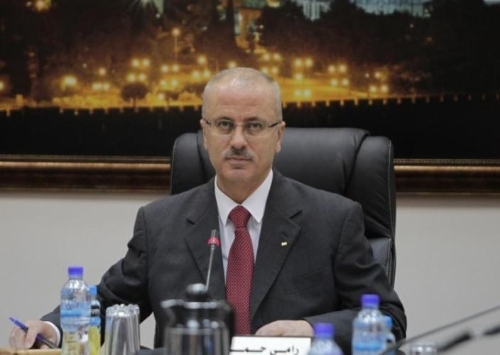 Mansour and other sources from within the Customs Authority all agree that there is an important lapse in the enforcement of the settlement boycott law by Palestinian courts. Sources from the Palestinian Judicial Media Center confirmed to Al-Monitor that only nine people were convicted of crimes relating to the anti-settlement goods law since 2010. They were sentenced to three months in jail and paid fines as high as 2,000 Jordanian dinars [$2,800]. Those monitoring the official efforts talked about important lapses that needed to be filled, most important of which is the government’s exclusion from the campaign of industrial settlement areas such as Atarot — built on Kalandia lands south of Ramallah — under the pretext of their being home to Palestinian investments. Settlements also found a way to circumvent the Palestinian law by repackaging their products inside Israel proper and openly transporting them via the Palestinian Authority’s (PA) official border crossings as Israeli and not settlement products. Mansour and Kobha summarized the problem as a lack of awareness about the danger posed by settlements. In addition to the absence of government support for local products are factors that all serve the interests of goods produced in Israeli settlements in the West Bank. That is why Israel viewed the EU’s decision as provocative, despite the Palestinian Ministry of National Economy's Undersecretary Abdul Hafiz Nofal’s description of the decision as being “late, but on the right track” — which led Israeli media to come up with grandiose headlines that the EU’s decision would harm common Palestinian-Israeli interests. Not applying the law firmly toward ongoing smuggling operations of settlement goods — as well as the local Palestinian appetite for these goods — shows that there is a lot the PA must do internally to ensure the success of its decision to boycott settlement goods and any European effort in this regard. Naela Khalil is a reporter for the Palestinian daily newspaper Al-Ayyam. She has reported for the UN humanitarian news and analysis agency IRIN, the UAE magazine Al Maraa el-Muslema, the Jordanian daily Al-Dustur and the An-Najah Office for Media and Journalism. Israel is giving the EU "the cold shoulder" in the West Bank, Israeli officials told AFP on Friday, following new European guidelines banning dealings with settlements. Defense Minister Moshe Yaalon had given instructions to Israeli officials to "freeze contacts with European Union representatives in Area C" of the West Bank, which is under full Israeli control, one official said. "It's inconceivable the EU acts the way it does and we would just accept it," he said. The official added that Yaalon had given the orders to General Eitan Dangot, head of COGAT -- the Israeli military body in charge of civilian aspects of life in the Israeli controlled parts of the West Bank. Since the West Bank is under Israeli military occupation, Yaalon -- in his capacity as defense minister -- is the supreme authority for the territory. Published last week, the EU guidelines exclude Jewish entities in territories occupied by Israel after the Six-Day War in 1967 -- the Golan Heights, East Jerusalem and the West Bank -- from financial cooperation agreements with the bloc. The move raised a storm in Israel and was denounced by Prime Minister Benjamin Netanyahu as "an external diktat about our borders," an issue that "will be decided upon only in direct negotiations between the sides". A spokesman for Netanyahu declined to tell AFP whether Yaalon's move reflected a broader Israeli stance on relations with the EU. A defense ministry official told AFP that Yaalon instructed Dangot to give European officials "the cold shoulder". "Meetings between Dangot's and EU representatives were cancelled, projects and donations frozen, and requests to renew permits granted to EU officials and Palestinians for travel in the West Bank and to Gaza were rejected," the official said. A spokeswoman for EU foreign policy chief Catherine Ashton said they were "concerned over these reports, but we have not received any official communication from the Israeli authorities". "What we are doing right now is, through our delegation on the ground, trying to get urgent clarification," Maja Kocijancic said. MP Jamal Khudari, head of the Popular Committee Against the Siege, said that the Israeli decision to halt EU representatives from entering the Gaza Strip reveals Israel’s true image that aims to tighten Gaza siege. In a press release on Saturday, Khudari called on the European Union to play an effective role in pressuring the Israeli occupation to stop its violations against the Palestinians. The Israeli decision also blocked EU representatives from supporting infrastructure projects in area C in West Bank. He called on the international community to pressure the occupation to end its aggression against Palestinians and its siege imposed on the Gaza Strip for the past seven years. The Israeli war ministry instructed the IOF and the Coordinator of Government Activities in the occupied West Bank to stop cooperating with EU representatives in response to the EU decision to mark products from Israeli settlements in the West Bank and eastern Jerusalem. A British Palestine supporter won a battle this week to stop Southern Water company installing an Israeli-made water meter at her home. The “Morning Star” newspaper said in its online edition that Brighton resident, Caroline O'Reilly was so determined not to have an Israeli-made meter that she even sat in a hole in the road in protest against Southern Water's use of the meter. According to the paper, O'Reilly managed to force Southern Water to back down after her protest won her much support. The group said they are made by “Arad Technologies” - an Israeli company which the group claims profits from and is deeply complicit in illegal Israeli settlements in the West Bank. The group said it had been challenging Southern Water to explain "how a company that is so blatantly involved in ethnic cleansing and the appropriation of Palestinian water resources can have been awarded this lucrative contract, when the procurement process clearly contravened several of Southern Water's own ethical and corporate responsibility policies. The Morning Star added that "Following Caroline O'Reilly's refusal to allow the Arad meter to be installed, she exchanged letters with Southern Water staff, resulting in a significant climb-down by the company." Other Palestine supporters in the area are following Caroline's example and rejecting the Israeli-made meters by insisting Southern Water installs alternative equipment. Israeli Defense Minister Moshe Ya'alon ordered to cease cooperation in joint projects with the European Union in the West Bank Area C, which is territory under Israeli civil and military control. It also will not issue or renew any documents that EU personnel might need for travel in the West Bank or into Gaza from Israel. The Jerusalem Post daily newspaper reported on Friday, that this decision came in response to new measures the EU has taken to boycott Israeli settlements in the West Bank and East Jerusalem. The newspaper also added that the IOF will refuse to grant new permits or renew existing permits for EU construction projects in Area C.
The Israeli War Ministry instructed the IOF and the Coordinator of Government Activities in the occupied West Bank to stop cooperating with EU representatives, Israeli media said. The instruction came recently and included orders to halt any assistance the IOF might be granting EU representatives working in infrastructure projects in area C under full Israeli control according to Oslo accords, Yediot Ahronot said. The IOF cannot prevent EU officials from traveling in and out of Palestinian Authority-controlled territories, but it can prevent them from entering or leaving the Gaza Strip via Israel, the newspaper added. The decision was taken in a bid to send a clear message to the EU as a response to the European Union's decision to boycott products from Israeli settlements in the West Bank and the eastern part of Jerusalem. The European Union has recently asked the Israeli authorities to complete its eight development projects in the West Bank, but the latter refused to do so. Meetings, scheduled between the two sides, were canceled after the EU decision. In response to the European Union's decision to ban contracts with Israel pertaining to disputed territories, Defense Minister Moshe Ya'alon instructed the IDF and the Coordinator of Government Activities in the Territories to stop cooperating with EU representatives in the West Bank and Gaza. For years, the Israeli right has denounced any European Union (EU) protest against the settlement enterprise, which the Europeans claimed undermined the peace process. This time around, there have been more varied reactions in the Israeli government to the EU decision to refrain from signing agreements with Israeli organizations and companies operating in the territories across the Green Line. Aside from the fierce criticism against the new EU sanctions, concern was voiced by the right over the potentially adverse effects of the move on the peace process. Prime Minister Benjamin Netanyahu said that he would have expected those truly interested in promoting peace and stability in the region to deal with the civil war in Syria and the Iranian nuclear program, and leave the settlements issue to direct negotiations between Israel and the Palestinians. Former Foreign Minister Avigdor Liberman and current Deputy Minister of Foreign Affairs Zeev Elkin (both settlers), known for their “concern” for the fate of the Oslo agreement and the negotiations with the Palestinian Authority, proposed to penalize the Europeans by driving them out of the political process and cutting off contact with them on the Palestinian issue. The leader of HaBayit HaYehudi, Minister of Economy and Trade Naftali Bennett, outdid his colleagues. Bennett, whose interpretation of the “territory in exchange for peace” formula is that Israel takes control over the territories and gives the Palestinians peace in return, went as far as to threaten the EU, warning that Israel would deprive the EU of the “pleasure” of investing in water and sewage infrastructures in the territories — those basic infrastructures that Israel, as an occupying state, is required to provide under the international law. Finance Minister Yair Lapid accused the Europeans of undermining the diplomatic process, noting that their decision “delivers to the Palestinians the message that they will have to pay nothing, on either the international or economic level, for their persistent refusal to resume negotiations, while leading them to believe that Israel will ultimately have no choice but to give in under the political and economic pressures exerted on it.” Lapid, who chairs the Yesh Atid party, argued that the EU decision “serves extremist elements like al-Qaeda, Hezbollah and Hamas,” no less! However, this time around, other voices were heard in Israel — those of prominent intellectuals, senior academics and leading artists who sent to Brussels their thanks and blessings for the new directive. Among the signatories of the petition are six Israel Prize laureates (Dani Karavan, David Tartakover, Shimon Sandbank, Zeev Sternhell, Yehoshua Kolodny and David Harel), as well as playwright Yehoshua Sobol, former Foreign Ministry Director-General Alon Liel, former Attorney General Michael Ben-Yair and former Israeli Ambassador to South Africa Ilan Baruch. All signatories are Israeli patriots who believe that the two-state solution on the basis of the Green Line is the only way to ensure the democratic character of Israel and to realize its Jewish values. It is difficult to predict to what extent, if any, the timing of the European decision to impose sanctions on Israel was conducive to the revival of negotiations, which is still in doubt. Some say that given the zero-sum circumstances, the sanctions against Israel, which made the headlines on eve of the visit by US Secretary of State John Kerry to the region, enabled Palestinian Authority Chairman Mahmoud Abbas (Abu Mazen) to score some points to his credit with the Palestinian public. And this, they note, made it easier for him to relax his position on the conditions for opening negotiations. At the same time, the European decision to twist Israel's arm provided Netanyahu with an excuse to withdraw some of the requirements he had presented to Kerry during the lengthy discussions the two held in the last months. Experience shows that on few occasions have any significant steps have been taken in the Middle East by High Representative of the European Union for Foreign Affairs and Security Policy Catherine Ashton (or her predecessor, foreign policy coordinator Javier Solana) without first securing the consent, even if only tacit, of the American administration. 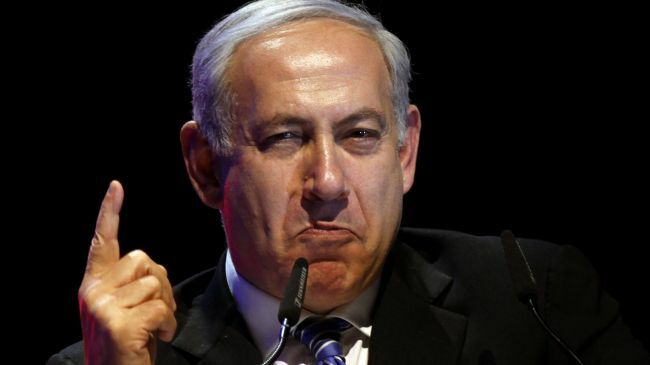 If the European move has indeed caught the Israeli prime minister off guard (Netanyahu, who is currently serving as minister of foreign affairs, reprimanded ministry officials for having missed the alert), it is an indication of the weak ties between Washington and Jerusalem. The timing and circumstances of the EU announcement on the sanctions and the declaration by Kerry may thus push for an economic, academic and cultural embargo on Israel — a notion that has been gaining momentum since Netanyahu's return to power in 2009. The list of countries joining the sanctions against Israel is getting longer by the day. The Norwegian government sold all of its shares in Elbit Systems, Ltd. in 2009 in response to the company’s involvement in the construction of the separation fence. The Government Pension Fund of Norway announced that same year the withdrawal of its investments in Africa-Israel Investments, Ltd. once it became known that the company was building in the occupied territories. 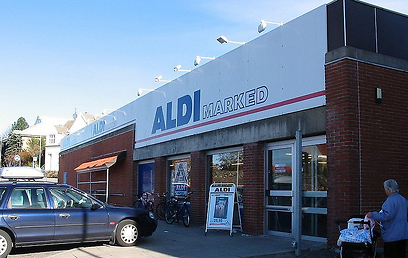 The Irish National Teachers Organization and consumer associations and labor organizations throughout Europe decided to boycott Israeli products. Following protest rallies against the occupation, marketing networks in Europe and the US suspended sales of Israeli products, and labor organizations in European ports stopped unloading ships bearing the Israeli flag. British director Ken Loach was one of the first prominent boycotters in the artistic community. He was followed by celebrated British director Mike Leigh, musician Roger Waters, physicist Stephen Hawking and Indian-American director Mira Nair. This is what the beginning of the end of the apartheid regime in South Africa looked like. And who knows, the American determination coupled with European firmness may yet herald the end of the Israeli occupation and our conflict. 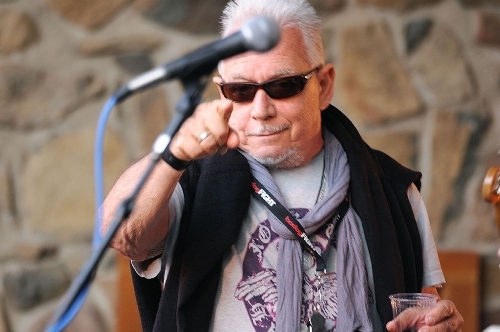 British rock legend Eric Burdon is due to perform in Edinburgh tonight in the only UK leg of a tour that was to have included a gig in Tel Aviv, Israel, on August 1st, Scottish Palestine Solidarity Campaign (SPSC) said in a press release. Palestine solidarity activists welcome yesterday's announcement that he has pulled out of the Tel Aviv engagement "under increasing pressure" to cancel, according to his Manager. According to Israeli daily, Haaretz, "he was pressured not to perform in Israel and ultimately chose to cancel the concert, which was to take place August 1. "We are under increasing pressure, including many threatening emails that we are receiving on a daily basis." Scottish Palestine Solidarity Campaign was among those who wrote, and invited others to write, to Eric Burdon asking him to remain true to his long-term hostility to racism and Jim Crow in the US South. Scottish Palestine Solidarity Campaign notes the extreme vagueness of alleged "threats" made to Burdon and is unaware that any were actually made during weeks of very public, legitimate political and moral pressure that was brought to bear in support of the Palestinian call for boycott of Israel. There is currently a wave of Israeli state-enforced ethnic cleansing of Palestinians. Scottish Palestine Solidarity Campaign welcome Eric Burdon's decision to follow in the tracks of Bruce Springsteen, Stevie Wonder, Elvis Costello, Carlos Santana, Gil Scott-Heron, Annie Lennox, the Pixies, Massive Attack and many others in refusing to perform in apartheid Israel. Scottish Palestine Solidarity Campaign concluded that this is another small crack in the wall that imprisons the Palestinian people. He will now be unreservedly welcome in Edinburgh tonight. The European Union plans to label Israel's products exported from settlements in the occupied Palestinian territories to European countries by using a special commercial sign, according to the Israeli newspaper Haaretz on Tuesday. 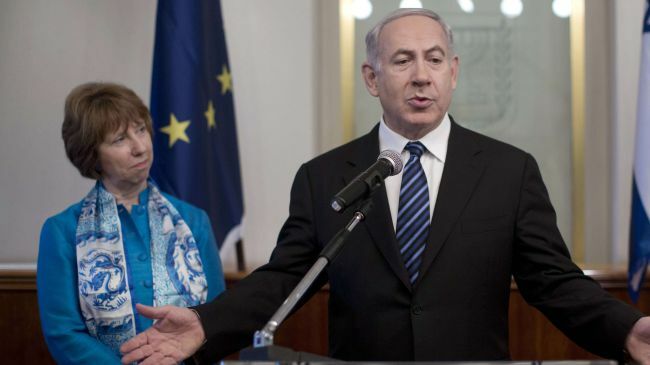 Haaretz added that EU foreign policy chief Catherine Ashton sent a letter to seven EU officials two weeks ago telling them that she is seeking to recruit support from all relevant commissioners for West Bank labeling guidelines. The letter also showed that Ashton is seeking to draft comprehensive guidelines on labeling settlement products by the end of this year. 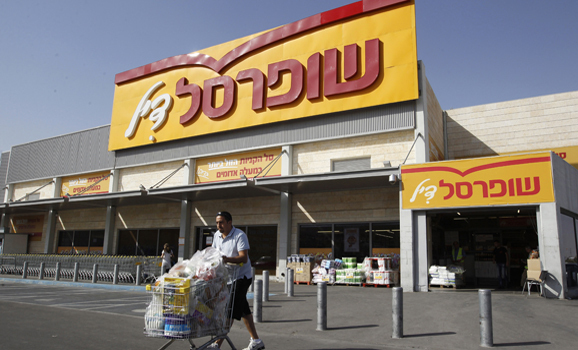 A Foreign Ministry official referred to the decision by two major Dutch retail chains to boycott settlement products and said that "this boycott is only the beginning." 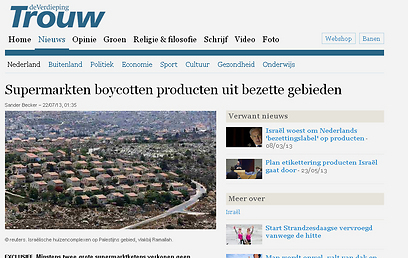 "In Switzerland, Norway, and in Britain they have already boycotted settlement products. When a chain announces a product ban, it casts a shadow on Israel. It can create a wave of undetermined proportions." 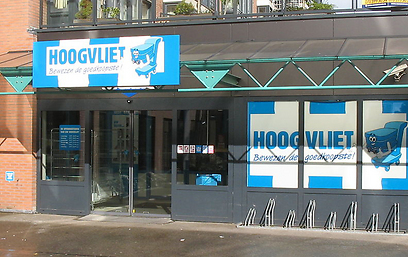 The Foreign Ministry referred to the decision of two major marketing retailers in the Netherlands – Hoogvlit and Aldi – which decided not to sell products from the settlements, and said, "This ban is tainted by hypocrisy and prejudice, and is only worsening the problem it purports to solve."